In 1985, Hollis Sigler, a leading feminist artist in Chicago, was diagnosed with breast cancer, a disease that had also stricken her mother and great-grandmother. 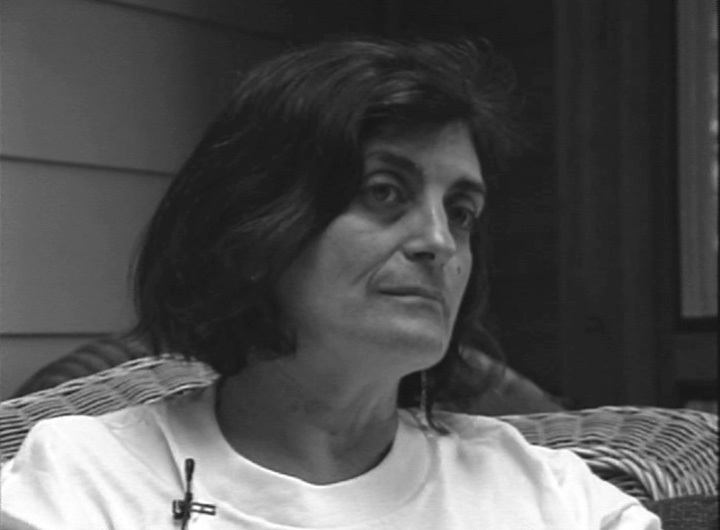 This interview with Hollis Sigler focuses on the period of her life beginning with the work entitled Breast Cancer Journals, a series of paintings, drawings, and collages expressing a wide range of emotional responses to the various stages of her struggle with cancer encompassing more than 100 works. Art in America called Sigler’s Breast Cancer Journals “one of contemporary art's richest and most poignant treatments of sickness and health.Taking on a kind of religious conviction, her jewel-colored symbols imbue a death-haunted situation with miraculous, celebratory life.” These works–and the commentaries that the artist inscribed on many of them–combine personal experience with family history, medical statistics, and political consciousness raising. Sigler had a 15-year struggle with breast cancer prior to her death in 2001. Interview by B. Ruby Rich. A historical interview conducted in 1995, edited in 2010.